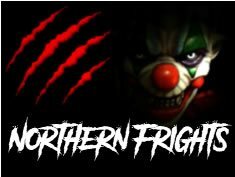 IowaHauntedHouses.com features all of Iowa's best haunted houses, hay rides, mazes, pumpkin patches, haunted attractions and fall fun that you're looking for the 2019 Halloween Season. Whether you're a thrill seeker looking for the best local haunts across Iowa, or you're looking for Fall Festivals, and the more family-friendly side of Halloween Fun, IowaHauntedHouses.com has what you're looking for. 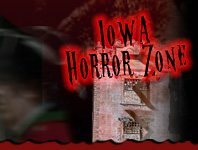 Since 2011, IowaHauntedHouses.com has helped locals across Iowa make the most out of the Halloween Season with comprehensive listings for all of STATE IA's best attractions, including dates of operation, in-depth bios, photos, social media feeds, and so much more! Our blog also features a deeper look into this year's Halloween Fun, including the latest Haunt News, Halloween Fun & Games, Seasonal DIY ideas, and the nitty gritty details of Iowa's REAL Haunted attractions. Have a local haunt and want to get listed? Give us a call at 888-228-5265 and speak to a IowaHauntedHouses.com representative today! Scary Clown Donut Delivery Service Brings on the Scare this October! Enjoy Some Thrills & Chills this Halloween Season at Eldora Haunted Hospital! Scary-Good Fun Awaits this Halloween Season at Spooktacular Nights Haunted House! Are You Afraid of What Goes Bump in the Night? Meet Iowa's Most Notorious Ghosts at These Haunted Locations Across the State! Want to Keep on Spreading the Halloween Cheer? Get Your Jackolantern Stamps from the Post Office Before They Run Out! What Does Michael Myers Do the Day After Halloween? Short Film 'November 1st' Shows Us! Will You Be Dressing Up in Costume at Work this Halloween? Survey Shows it Has Some Benefits!